What is the meaning of 9/11? And specifically what does it mean, if anything, for the Gurdjieff Work. The question is relevant, for no teaching exists in a vacuum outside history. If it did, Gurdjieff would have never left Russia. Now no one can definitely say what the deep meaning of 9/11 is. It's too early for that. But pondering its meaning may serve to delineate a context for understanding the historical forces that are playing themselves out. With this as a caveat, the meaning of 9/11 is the end of religion as we know it. There are three reasons for the end of religion. The first is the surging militant piety of fundamentalism. Second is a deepening secularism powered and secured by scientific materialism. And third, the final historical clash between Islam and Judaic-Christianity, and, on a deeper level, fundamentalism and scientific materialism. It will be long, it will be nasty, it will be bloody beyond belief. It will be the end of the world as we have known it, and the beginning of the new. The three religions will be blamed, rightly and wrongly, as the root cause of the conflict. Accordingly, their legitimacy and influence will erode to insignificance, and in their stead will step scientific materialism. How long will this take? Ten years, twenty, fifty? We only know time on all fronts is accelerating. Is this view correct? Let us hope not, for however encrusted these great religions may have become with time, each has maintained a context of metaphysical meaning and been a container for animal passions. The hard edge of scientific materialism in tandem with the technologizing and commercializing of all aspects of human life, its meaning and aims, will so level human identity and aspiration that mankind will be in danger of descending to the animal level. This, in turn, may open the doors to what the esotericist René Guénon describes in his seminal work, The Reign of Quantity and the Signs of the Times, which will be discussed in Parts II and III. But before examining Guénon's vision of the future, it would be well to look at the historical situation facing us. In her book, The Battle for God, Karen Armstrong states that we have entered a period of enormous transition, similar to what historians refer to as the Axial Age, lasting roughly from 700 to 200 B.C.E.whose beginnings lay in ancient Egypt and Sumerwhich saw the advent of philosophy, arts and the creation of increasingly powerful cities, city-states and, eventually, empires. What fostered this development then was agricultural surplus, what does so now is technology. The root of this current Axial Age, she believes, "lies in the sixteenth and seventeenth centuries of the modern era, when the people of Western Europe began to evolve a different type of society, one based not on agricultural surplus but on a technology that enabled them to reproduce their resources indefinitely." In the ancient world there were two coexistent ways of perceiving the worldmythos and logos. Mythos, the foundation of religion, with its myth and mysticism focused on the timeless and constant, regardless of context and content, was regarded as primary. Whereas logos, rational, pragmatic, scientific thought, was seen as necessary but secondary. As technology and the science that fathers it permeated throughout Western Europe and later America, there was a reversal. 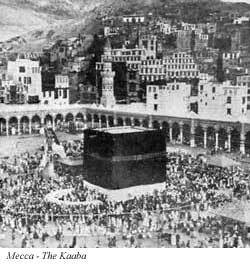 This reversal is what Islam has long fought; the first printing press, for example, being introduced in Ottoman Turkey in 1729, some two hundred years after its invention. For the modern world the consensual belief was that logos was the royal road to truth. Mythos was increasingly devalued to where it is now seen as false, superstitious; the word "myth" itself devolving to a word for illusion. This transference of what was once primary in life to a secondary or irrelevant status has been a major impetus behind the dramatic emergence within every major religious tradition of a militant piety popularly known as 'fundamentalism.' To fundamentalists (in varying degrees) the whole world is wrong, fallenits values, beliefs so askew and misshapen as to be beyond reform. Writes Armstrong: "Fundamentalists have no time for democracy, pluralism, religious toleration, peacekeeping, free speech, or the separation of church and state. Christian fundamentalists reject the discoveries of biology and physics about the origins of life and insist that the Book of Genesis is scientifically sound in every detail.... Jewish fundamentalists observe their revealed Law more stringently than ever before...and Muslim women, repudiating the freedoms of Western women, shroud themselves in veils and chadors." Worse, many look forward to, and even wish to hasten, a final and irreparable clash, the Armageddon. While this horrific idea is rigorously rejected by the secularists and the religious mainstream in all societies, West and East, fundamentalists nevertheless appear to increasingly call the political tune and control the context. It could be argued that this is as true in America as it is in Israel and Islamic countries. The success of American technology in severing Al Qaeda's hold on Afghanistan is stunning, but this unfortunately is only the opening chapter. It has in no way influenced Islamic militants in their lethal ambition to provoke what they see as a cleansing "cosmic war," while this early success in Afghanistan has emboldened American strategists to consider widening the war on terrorism to include Iran and Iraq (and North Korea), perhaps even extending it to Indonesia. The risk involved is incalculable, for instead of the war on terrorism being seen as one for civilization, it could be seen as a clash between civilizations. 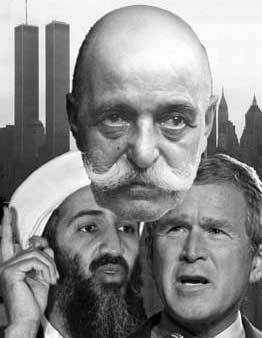 Gurdjieff warned that if the Sunnis and Shiites, the two major branches of Islam, ever united it could be the end of the West. This is exactly what Harvard professor Samuel P. Huntington predicted in his 1993 essay, "Clash of Civilizations." "It is my hypothesis," he wrote, "that the fundamental source of conflict in this new world will not be primarily ideological or primarily economic. The great divisions among humankind and the dominating source of conflict will be cultural." Huntington's de-emphasis of the nation state and elevation of the tribe shocked political thinkers, as did his idea that such tribalism exacerbates ancient hatreds to the boiling point. Basic to Huntington's theory is that civilizations behave like organisms. This was the view as well of Oswald Spengler (18801936). In his Decline of the West, finished before the First World War but published in 1918, Spengler held that "Each Culture has its own new possibilities of self-expression which arise, ripen, decay and never return." Spengler saw every culture as an organism that in time produced its own civilization. Spengler held that these civilizations were "the most external and artificial states of which a species of developed humanity is capable. They are also a conclusion." Both Spengler and Huntington take a Hobbesian view of the world, an eat-or-be-eaten vision. Muslims, in particular, feel stereotyped and homogenized by Huntington's theory. How can a billion Muslims, many millions living in Western societies, think and act alike? Says Johns Hopkins political scientist Fouad Ajami, "For Huntington to say that there is an Islamic civilization, he has to impose an unbelievable uniformity on the world of Islam, all the way from Morocco in the west to Indonesia." Huntington still insists on the primacy of tribality and says, "The absence of an Islamic core state is a major contributor to the pervasive internal and external conflicts which characterize Islam." As to technological and material progress averting a clash, he admits there is progress but says it doesn't exist in the moral sphere. "Human nature hasn't changed," he says. "All these physical improvements in material well-being won't change human nature. The same amount of hate will exist in human society." The monumental shock of 9/11 and its aftermath has taken Huntington's theory out of the halls of academia and into the blood and guts arena of ordinary life. His idea of a clash between civilizations looks to be all too true. Aware of the implications, all sides temporized and ran for cover. The U.S. bombed for the protection of all civilizations. Iran called for not a clash but a "dialogue" between civilizations. Whatever their private views, most Muslims disassociated themselves outwardly from the Islamic extremists, proclaiming their version of Islam does not represent the true Islam; that Islam is a religion of peace and goodwill; that 9/11 had nothing to do with Islam. 1. Axial age. Karen Armstrong, The Battle for God (New York: Ballantine, 2000), p. xv. 2. Fundamentalists have no time. Ibid., p. xi. 3. End of the West. G. I. Gurdjieff, First Series, pp. 70406. "Beings of certain European communities have during recent centuries greatly contributed by their incitement [to the organic hatred between Sunnis and Shiites] ... in order that the animosity should increase between the beings who follow these two independent schools of one and the same religion, should increase and that they should they never unite, since if this were to happen, there might soon be an end there for those European communities." 4. Yes, This Is About Islam. Salman Rushdie, New York Times, 2 November 2001. 5. Fundamental source. Joel Achenbach, "Huntington," Washington Post, 16 December 2001. 6. Each Culture. Oswald Spengler, Decline of the West, one vol. ed. (New York: Oxford University Press, 1932), p. 17. 7. Most external. Ibid., p. 24. 8. Independent inquiry. Bernard Lewis, What Went Wrong? (New York: Oxford University Press, 2002), p. 79. 9. The world of Islam. Ibid., p. 151. 10. Benjamin Barber. Megan Rosenfeld, "Global Thinker," Washington Post, 16 November 2001. 11. Cultivating theologies of rage. Karen Armstrong, The Battle for God, p. 166. 12. Embattled forms of spirituality. Martin E. Marty and R. Scott Appleby, "Conclusion: An Interim Report on a Hypothetical Family," Fundamentalisms Observed (Chicago and London: University of Chicago Press, 1991), pp. 81442. In Karen Armstrong, The Battle for God. 13. Justina's Priest. William Trevor, "Justina's Priest," The New Yorker, 14 January 2002, pp. 7879.